After starting his career with record label WEA, Mat moved on to become Big Active’s art director, while still working as an illustrator in his own right. This has resulted in him working on some projects as both art director and image-maker (his winning music entry being an example of this), while working on others purely as an image-maker outside Big Active. Mat’s unique and striking collage based work lead to Manchester design agency Thoughtful approaching him for the Liverpool biennial project. 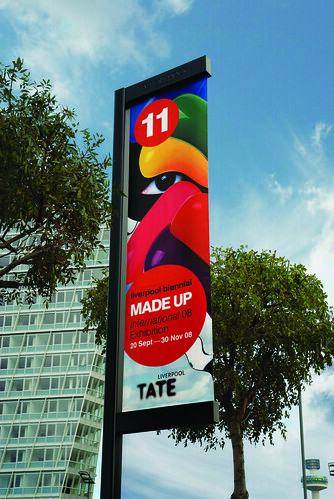 Thoughtful were already familiar with Mat’s work, and felt he would be capable of fulfilling the brief, which was to create a set of ads for the biennial based around the theme ‘Made Up’. 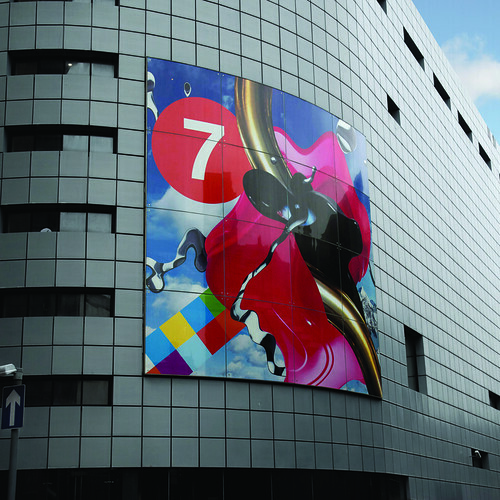 Mat’s designs also needed to reflect the broad range of artists being exhibited during the biennial, which featured artists such as Richard Wilson and Yoko Ono. 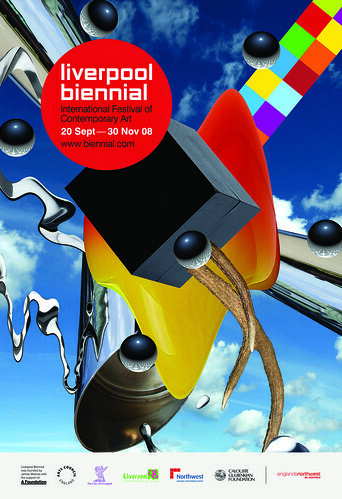 Both the biennial organisers and Thoughtful wanted to avoid an identity reminiscent of its previous more corporate efforts. They wanted something much more in tune with the event’s art exhibitions. Mat took this on board and created a striking collection of work (four large pieces) for use across all advertising and promotion.